CNN first debate winner: Lindsey Graham steals the show. Lindsey Graham Won CNN’s First GOP Debate. It Wasn’t Close. Lindsay Graham speaks at the First in the Nation Republican Leadership Summit April 18, 2015 in Nashua, New Hampshire. The four Republican long-shots onstage at the Ronald Reagan Presidential Library for Wednesday’s undercard debate combined for less than 2 percent support in national polls, leading pundits and wags to refer to CNN’s opening debate as “the kids table.” Only one of the men, though, was in on the joke, and even managed to turn it to his advantage: Lindsey Graham. Unlike the other three candidates, the South Carolina senator was loose, he was funny, and he was forceful. He made jokes when he could, and broke the debate rules when he needed to. Graham didn’t deliver the type of dominating performance that Carly Fiorina did in Cleveland last month, but he was easily the best of the JV squad in Southern California. Even CNN’s moderators—who he repeatedly talked over in another show of his newfound aggressiveness—appeared to be fans of his performance. “You’re having a good debate,” conservative radio host Hugh Hewitt told him. 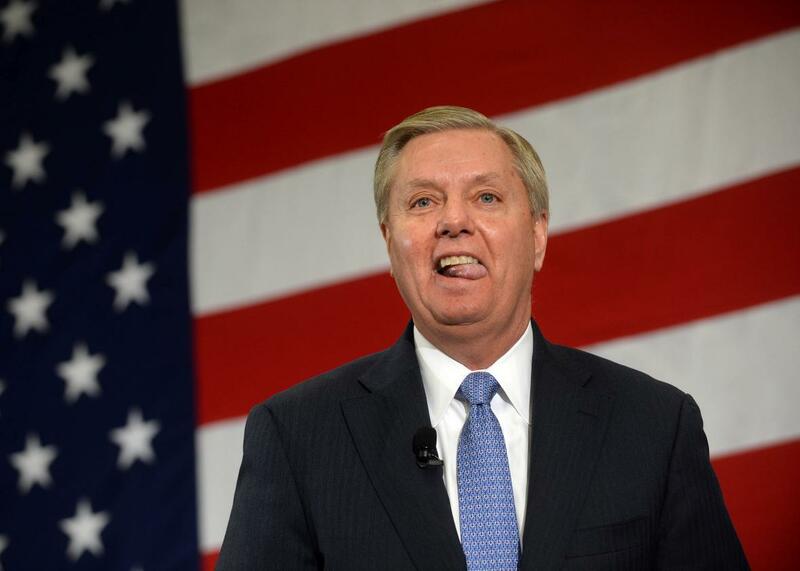 Meanwhile, Graham was drawing laughter at every turn with one-liners that ranged from “That’s the first thing I’m going to do as president: We’re going to drink more” to “I wasn’t the best law student. By the end of this debate, it’s the most time that I’ve spent in any library.” It’s no surprise he was also drawing rave reviews on Twitter. Will all that be enough to jump-start a presidential campaign whose previous highlight was destroying his Trump-doxxed flip-phone? Probably not. But for a couple of hours, at least, Graham’s campaign was finally worth watching.